Save your search - find out immediately when "lippincott" is available at auction! Children's Books, Mid-20th Century, Nine Volumes. Decorative Bindings, Sir Edward Bulwer Lytton, Works , Forty-two volumes. Simpson, James Hervey (1813-1883) Journal of a Military Reconnaissance from Santa Fe, New Mexico, to the Navajo Country. Baird, Spencer Fullerton (1823-1887) The Birds of North America , Atlas Volume Only. 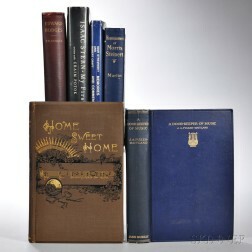 Decorative Bindings, Sets, Longfellow and Chambers, Thirteen Volumes. Stansbury, Howard (1806-1863) Exploration & Survey of the Valley of the Great Salt Lake of Utah. 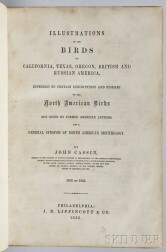 Cassin, John (1813-1869) Illustrations of the Birds of California, Texas, Oregon, British, and Russian America.